For our May talk we will be exploring how the findings from research investigating how London taxi drivers acquire and use ‘The Knowledge” can inform or explain principles in wayfinding design. We are pleased to welcome Eva-Maria Griesbauer, from the Institute of Behavioural Neuroscience (IBN), University College London (UCL) who will present an overview of her research with licensed London taxi drivers – the navigation experts of the city. 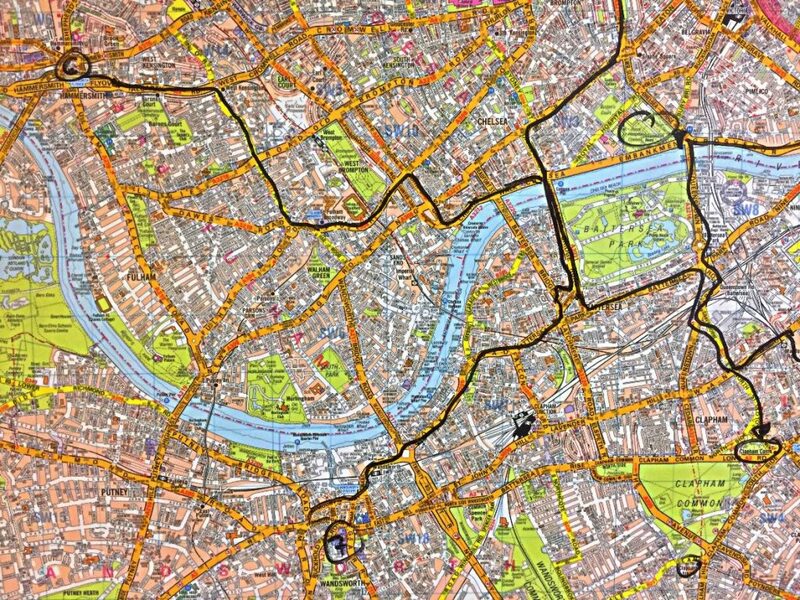 The ability of London black cab drivers to flexibly plan routes between any two places in London without consulting a physical map (or satnav) is unique and has been a focus of spatial cognition research over the last two decades. Eva is currently investigating how taxi drivers learn and cognitively represent a complex, real-world environment such as London. One of her main studies addresses the question of how these mental representations might be used to plan routes efficiently, as well as how the brain might process this type of spatial information. The IBN is a hub of UCL’s behavioural neuroscience community. The general theme of the Institute’s research is encapsulated by “neurons and behaviour”. They use a range of research methods that include single neuron recording, behavioural training, functional neuro-imaging and virtual reality to understand how neural processes work in perception, cognition and behaviour. Eva-Maria Griesbauer – PhD student, University College London, is a member of the Spatial Cognition Group, led by Prof Hugo Spiers, at the IBN. After completing degrees in mathematics and physics at the University of Augsburg in 2014, Eva moved to UCL to continue her studies. She completed a MSc dissertation project on the effect of a constantly changing environment on rodent navigation. Subsequently, she shifted her focus to human spatial navigation, with an emphasis on the London street network. Her current projects utilise London licensed taxi drivers and “the knowledge” to test cognitive mapping models with the complex network that is London. To answer questions around cognitive mapping and spatial cognition with an ecologically valid framework, Eva collaborates closely with computational neuroscientists, city architects, geo scientists and the Knowledge Point School. Tickets are limited so please book soon. All tickets include wine, soft drinks and nibbles. Anyone wishing to attend must email: enquiries@signdesignsociety.co.uk to register.